If you happen to own the Samsung Galaxy Note 8 and feel like you’re missing out on the latest features, we have some good news. Yesterday, we posted about a closed beta build of Android Pie with One UI layered on top of it for the Snapdragon 835 model of the Galaxy Note 8. 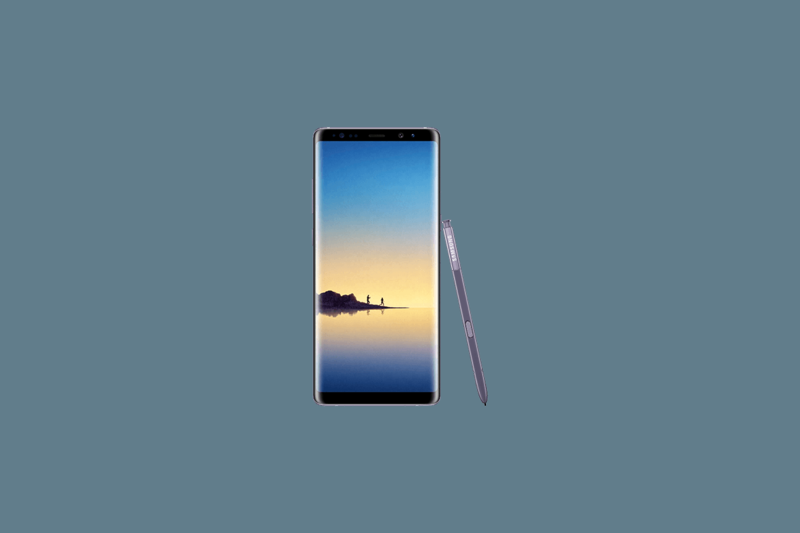 We’ll now show you how to install it on the Snapdragon Samsung Galaxy Note 8. This update is already available for the Galaxy S9, Galaxy S9+, and Galaxy Note 9. Update 1/3/19: A new build has been added to this article. The build, DRL7, comes with the January 2019 security patch level. There’s also a new boot animation for AT&T and a scene optimizer toggle in the camera app. The lockscreen pull down lag also seems to have been fixed. The video below will walk you through the process of installing One UI. I’m using the Galaxy Note 9 and Galaxy S9+ in the video, but the process will work as long as you substitute with the files linked below for the Snapdragon Galaxy Note 8. First, download Odin 3.13.1, the update.zip for CRK1 to DRL7, and the CRK1 Odin files. If you have an SD Card in your Galaxy Note 8, copy the update.zip to the SD Card. If you don’t have an SD Card, skip this step. Open the Odin files. The zip will be named SM-N950U_1_20181126150901_ouxwmh265r_fac.zip. In it, you will see six files. In Odin, you will see 5 categories, though you will only use 4. Put your Samsung Galaxy Note 8 into Odin mode by turning it off then holding Power + Volume Down + Bixby button. Open Odin and select the corresponding BL, AP, CP, and HOME_CSC, but nothing in Userdata. This might erase all the data on your phone. Your phone will flash the new firmware and then reboot. After you do this, wait about 5 minutes and then shut off your phone and reboot into recovery by holding Power + Volume Up + Bixby. Now use the CRK1 to DRL6 OTA for this update. Use the volume buttons and power to select “apply update from SD card.” If you do not have an SD Card, skip to step 12. Use the volume buttons again to select the update.zip file and the power button to select it. The update will then start. The update can take between 2 to 10 minutes. Once you finish this step, skip to step 13.
and hit enter. The update will start and take 2 to 10 minutes. Reboot your phone and enjoy the One UI beta. If you want to learn more about One UI, you can read our full review or watch the video on XDA TV.